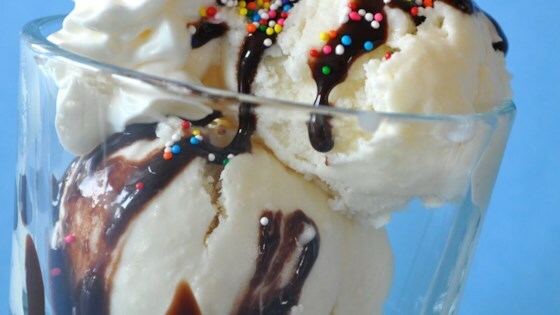 "It takes only 5 ingredients to make this fabulously creamy family pleaser! Before freezing, you can also add crushed sandwich cookies, nuts, chocolate chips, coconut or other favorites!" This is good and so easy! I have a ton of fresh strawberries so I crushed a about 2 cups and added to mixture delious,Raspberries are next then peaches, apricots... and so on.